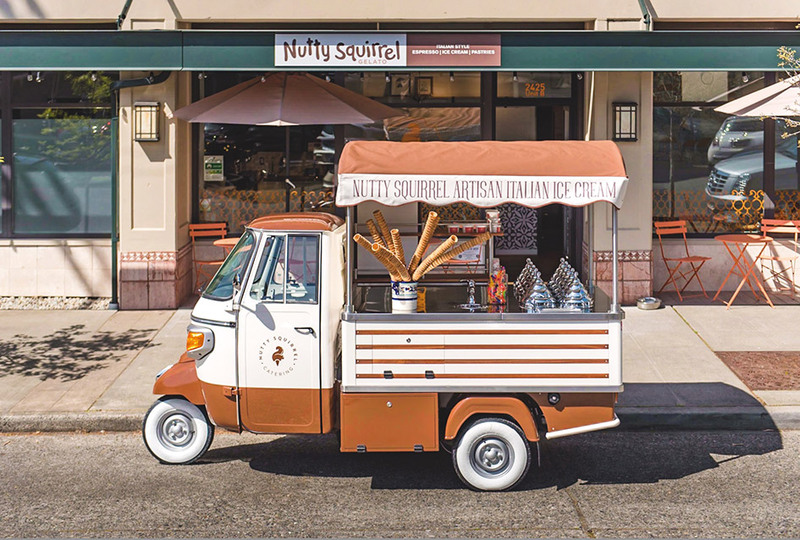 Make way for the cutest new ice cream truck in town: Nutty Squirrel Gelato’s Peugeot micro truck (multiple locations, including Magnolia, 2425 33rd Ave. W; 877.738.7696), a cheery lil' European import retrofitted to transport and serve the local company’s seasonally inspired gelato treats at weddings and events. Loving nicknamed “Carmello” by husband-and-wife owners Tolga and Alev Seymen, the custard- and chocolate-hued truck can dish out as many as 10 flavors at a time for a 200-person event, and rental comes complete with two servers for scooping. Couples can choose from the shop’s lineup of classic flavors—favorites include an irresistible pistachio crafted with nuts imported from Italy; buttery sea salt French caramel; and naturally, Champagne—or work with executive chef Tolga to create their own signature flavor, like one recent pair who transformed their own garden-grown pears into a luscious sorbetto. Prices range from $3 to $5 per person on average; additional catering options available for smaller events. Weddings are an expression of a couple's love for one another.